In my last post I listed some of the audiobooks C(9), J(8) and I listen to together. Today I’ll share some of the books we’ve been listening to individually, plus some non-fiction audiobooks we’ve enjoyed together. I also go off on a little tangent about reading and empathy. And I consider the impact of audiobooks on reading. 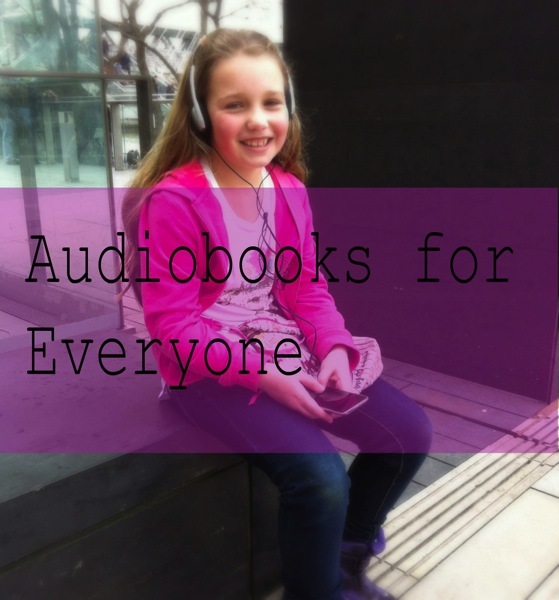 I’ve titled this post “Audiobooks for All Our Family.” This is not because I think all the books I mention are suitable for all ages (some are most definitely not). 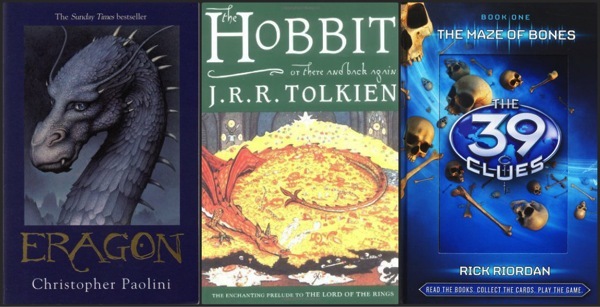 It’s just a selection of the audiobooks my children and I have enjoyed. The Hunger Games – We first listened to this sci-fi trilogy together. Your child is getting something important from the 57th viewing of that video. It isn’t important to understand what that is. It is important to understand that it’s important to your child. Reading fiction – especially when the setting is another culture, another time – has to be the best means of building empathic sensibilities. How do you understand prejudice if you are not of a group subject to discrimination? … How does it feel to be hungry, orphaned, or terrified when you’ve always lived a middle-class life? Harnessing the detail, drama, emotion, and immediacy of “the story,” fiction informs the heart as well as the mind. Whatever she’s getting out of Katniss’s struggles through The Hunger Games’ dystopia, it’s evidently important to C(9)! J(8) is working his way through The 39 Clues series. I love how as he listens he shares interesting snippets about historical figures. These have included Ben Franklin, Toyotomi Hideyoshi (“the greatest warrior of all time”) and Marie-Antoinette of France. Check out The 39 Clues Educator Network for an idea of what kids can learn from these books. J(8) also listens to The Hobbit and he’s dipped into The Lord of the Rings. When it’s just C(9) and I in the car we listen to the Anne of Green Gables series. It’s so special sharing these delightful books with my daughter. We’re up to Anne’s House of Dreams. I’ve bought the kindle versions of most of the books; I like to linger over the rich language. I sometimes write out quotes from the Anne books when I join my children for copywork. 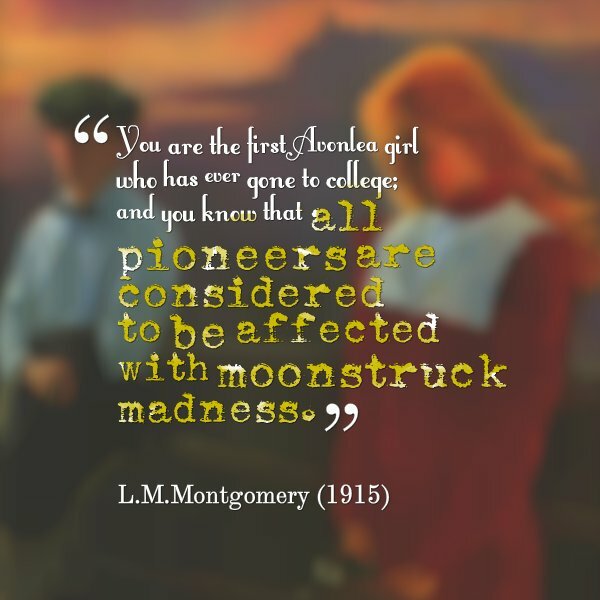 I remind myself of this quote when anyone questions my choice to homeschool. Will regular school seem the strange idea in a hundred years’ time? I usually have a non-fiction audiobook on the go which the kids sometimes overhear. I make sure they don’t hear anything inappropriate by discreet use of the pause button. They enjoyed large parts of Steve Jobs: The Exclusive Biography. I listened to parts detailing Jobs’ personal life on my own. C(9) learned heaps about astrophysics from Parallel Worlds: The Science of Alternative Universes and Our Future in the Cosmos. And at the moment we’re all enjoying From Gutenberg to Zuckerberg: What You Really Need to Know About the Internet. This audiobook a fascinating listen. It’s filling in gaps in my knowledge while baffling my children with the inconceivable notion of life without the internet. Empathy can evidently only stretch so far. I read so much non-fiction, I used not to have time for fiction. Then two things happened: I joined a book group, and we got a dog. This got me into a habit I now enjoy immensely of listening to fiction audiobooks on my own, at times when I couldn’t read a book. I listen while preparing food, cleaning my teeth, doing housework…I’m sure all you book lovers can relate. The Rosie Project – If you like Doc Martin or The Big Bang Theory you will love this book. The extremely likeable narrator has (undiagnosed) Asperger’s Syndrome. The story is about his quest to find a wife. On his journey he learns – and teaches us – a thing or two about the value of seeing the world differently from the average person. As a quirky mother of two quirky kids, this was a life-affirming, uplifting read. I laughed out loud all the way through. My husband James – who never usually listens to audiobooks – got hooked in and loved it too. Where D’You Go, Bernadette? 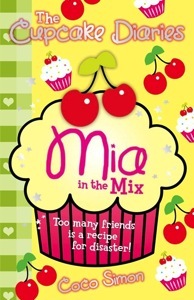 – Another hilarious, laugh-out-loud book about being different. From time to time James and I ponder the effect of audiobooks on our children. We discuss in particular whether more listening means less reading. C(9) learned to read early and reads quickly. She read the entire Harry Potter series in a couple of weeks when she was seven. C(9) may read slightly less fiction than she would if we didn’t have audiobooks, but the quality of the books she is exposed to is probably higher overall. 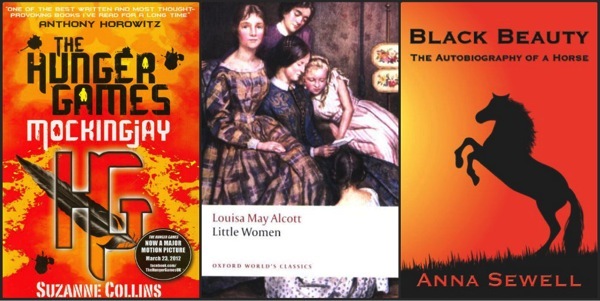 Sometimes, only the first few books in a series are available as audiobooks. In this case C(9) won’t think twice about reading the rest of the series. C(9) also reads a ton of non-fiction I strew or she finds on our shelves. She tends to choose modern tween fiction (like The Cupcake Diaries series) when we visit the library. J(8), meanwhile, has mild dyslexia. His reading comprehension was assessed last year as five years ahead (thanks to computer games). But he doesn’t enjoy reading long texts. Audiobooks have made a huge difference to him. As he listens he is exposed to language and literature he almost certainly couldn’t yet read for himself. I make sure J(8) has plenty of real books available. He loves reading joke books, graphic novels like Stinky, and comics like the Beano. 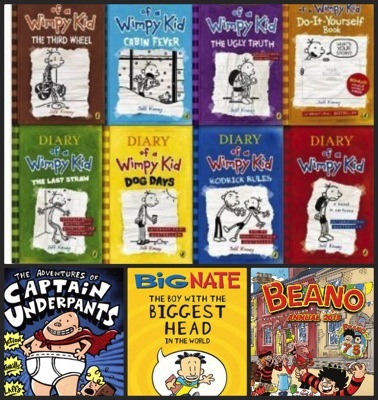 He also whipped through – and rereads – the Wimpy Kid, Big Nate and Captain Underpants series. J(8) enjoys books, appreciates quality literature, and knows how to read. That’ll do for my dyslexic eight-year-old for now! So do audiobooks have a detrimental effect on “real” reading? Not at all. In our house, the two formats happily compliment each other, in much the same way as reading aloud supports children becoming avid readers. 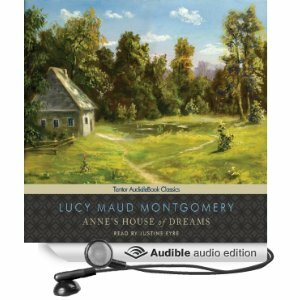 Do you use audiobooks in your homeschool? YES! Love audio books. I have eight children and we listen to audio books daily. They still like to request old favorites too and repeat listens. I love seeing a younger child ‘hear’ the story for the first time. They may have been present for three or ten other go throughs but they finally reach and age where they hear the story and get so excited about it. (My children are ages 12, 8, 7, 5, 4, 2, 1, and 1 month). Oh my goodness Tristan – I must get over to your blog – CONGRATULATIONS on your newest arrival! Oh yes, there will always be physical books. 🙂 Actually, the Gutenberg to Zuckerberg book has some interesting discussion about how new media interacts with its predecessors. Apparently it rarely replaces it, so I think our books are safe! I love your inclusion of the quote on how reading can foster empathy – has your family read/listened to “Wonder” by R.J. Palacio? If not, I can’t recommend it enough – you will all enjoy it I am sure. It is funny and touching, and fosters empathy in spades – not just for the main character (born with a facial deformity) but because it is written from many perspectives (friends and family)and it touches on how others cope with and care for August (main character) and growing up in general. Thank you SO much, Marie – “Wonder” sounds like just the book for us! I’ve just read about it on Amazon and I love the Audible narrator in the sample (she sounds like the Where D’You Go, Bernadette narrator). Thank you again! We use audio books for the child who is not reading fluently but is old enough to really enjoy a good story; the on who has dropped her naps but still has quiet time. At the moment that’s A5, but the older ones listened to many a good book when they were younger during their quiet times. It was one of their most favourite times of the day! Great post as always Lucinda! Thanks Claire 🙂 I loved reading about your quiet time. I need a lot of it myself! Are you familiar with the Redwall series by Brian Jacques? We love them, have read them, listened to them, and while the boys picked them up, everyone seems to like them. I wasn’t – thank you so much, they look great! You asked, “So do audiobooks have a detrimental effect on “real” reading? ” I don’t think so at all! There are times for reading and times for listening. I think listening skills are very valuable. Many people don’t listen very well at all. You’re quite right. There I was seeing listening as a poor relation of reading but as usual you have reframed the situation for me! Listening is a very valuable skill, I agree.